Figure 19.1 — Photophoretic optical trap. 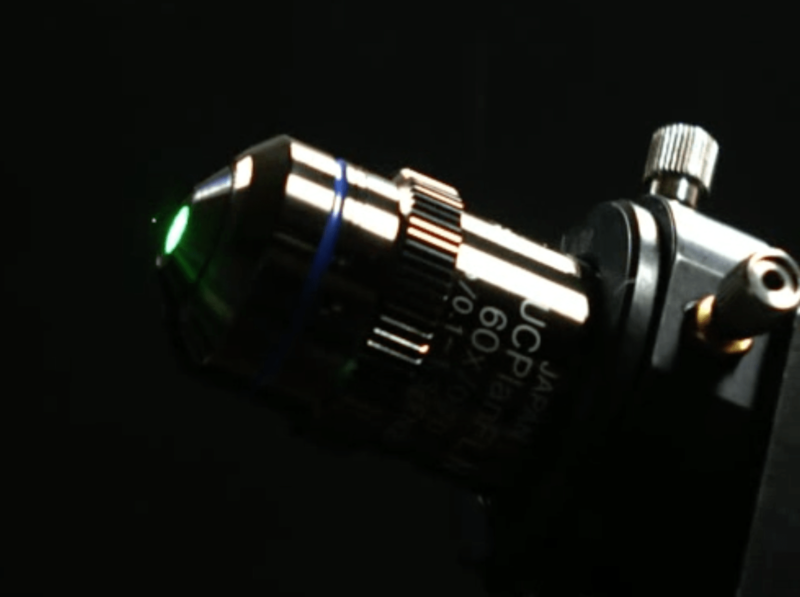 Trapping of an agglomerate of carbon nanoparticles at the intensity minimum of an optical bottle, i.e., the spherically aberrated focus of a laser beam. Because photophoretic forces are several order of magnitude strong than optical forces, trapping is achieved with just 5 μW laser power. Reprinted from Shvedov et al., Opt. Express 19, 17 350–6. Copyright (2011) The Optical Society.